We all know the ABC’s are easy as 123. But when it comes to understanding the complex world of publishing? The answers are often far from simple. That’s why we’ve created a short guide that’s as accessible as the alphabet (and hopefully scintillating enough to get the Jackson 5 song out of your head). Acquisitions: The press department that decides which books to publish. Backlist: Older books still available from a publisher. At OSU Press, our backlist generally contains titles published more than one year ago. Copyright: A tricky subject! Designates ownership of the book’s printed material. Distributor: A middle-man organization that sells to retailers as opposed to consumers. We at OSU Press use the Chicago Distribution Center to store and process most of our books and sales. E-book: The digital version of a published work. We proof our e-books on both Kindle and iBooks formats. Frontlist: Newer titles published a press. Given the definition of “backlist” described above, this generally includes titles published in the last year. For further clarification, browse our catalog to see how books have been divided. Grayscale: OSU Press books that only contain black and white images are printed right here in the United States. The printing process is faster (and more economical!) than that of books with color images. Hardcover: Although some of our titles feature hardcover bindings, most OSU Press books are published in paperback. ISBN (International Standard Book Number): Essentially the literary version of a Social Security Number. A 13- or 10-digit number that uniquely identifies a title. Journals: Although many academic presses publish journals, OSU Press currently does not. Knowledge: It’s power! 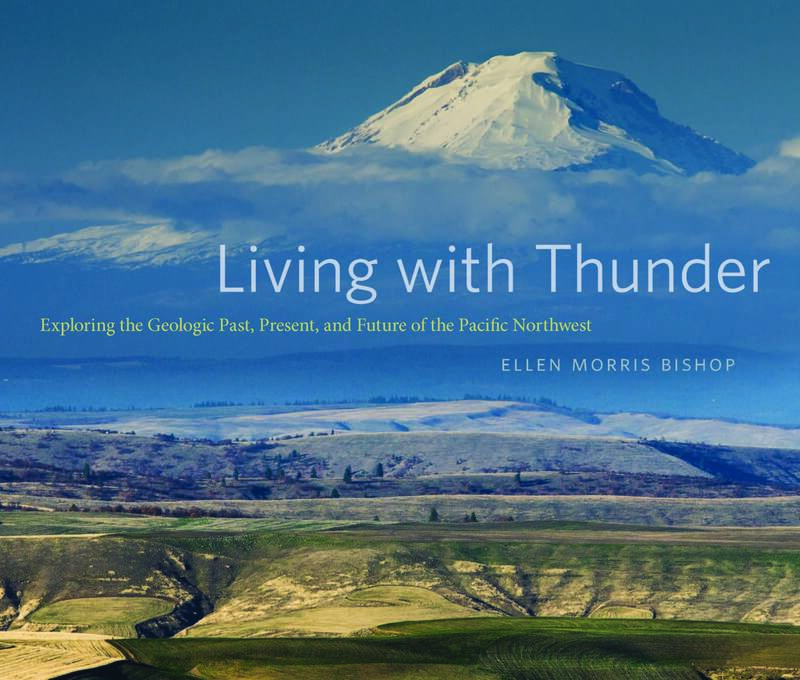 And here at OSU Press, we try to bring empowerment of the regional variety, focusing mostly on works that incorporate the history, culture, and environment of the Pacific Northwest. Line Edits: Comments and corrections made by editors who focus on more than just grammatical errors. Overall tone and style are also considered, leading to more detailed and nuanced suggestions. Mighty M’s: Mary, Marty, and Micki—the lovely ladies who keep OSU Press running and relevant! Networking: Presses must interact and make connections not only among colleagues, but with manufacturers, retailers, publicists, and distributors, as well. OSU Press employees attend several conferences and trade shows each year to network. Out of Print: A book is only labeled “out of print” once inventory is depleted and no republication plans exist. Page Proofs: One of the final stages before publication! Page proofs show everything exactly how it will appear in the printed book, including layout, color, and page numbers. These are often used for creating finalized indexes. Questions: As a press, we receive all sorts of questions from writers and readers alike. Authors have several resources available through the Author Marketing Guide, but where should readers go when they have pressing questions? Email us at osu.press@oregonstate.edu and we’ll get back to you in a jiffy. Reviews: Before publication, we send review copies of the manuscript to respected peers within the author’s field of work. Just like a scientific study, it’s important that academic books be tested and studied by other professionals before being published. Slush: Nope, nothing like the blue raspberry-flavored goodness you find at 7-11. This refers to the batch of unsolicited pitches and manuscripts sent to our acquisitions department. Trade: Generally referring to the non-academic side of publishing, which includes large publishing houses and literary agents (and staff lists many times the size of that at OSU Press!). University Presses: Publishing houses directly affiliated with an academic institution that typically focus on scholarly works. Value: Myriad factors determine the end price of a book, including printing and transportation costs, as well as the amount of time spent on writing, editing, and design. Website: Found a book you liked on our website? Simply click the “add to cart” bar and pay online for the quickest way to receive your purchase. And if you prefer browsing the aisles of a brick-and-mortar bookstore? OSU Press titles are sold in dozens of shops across the nation, including the world-famous Powell’s. X-out: Need to cross something out of a draft? Simply draw a line with a loop to signal the deletion of a word or phrase. 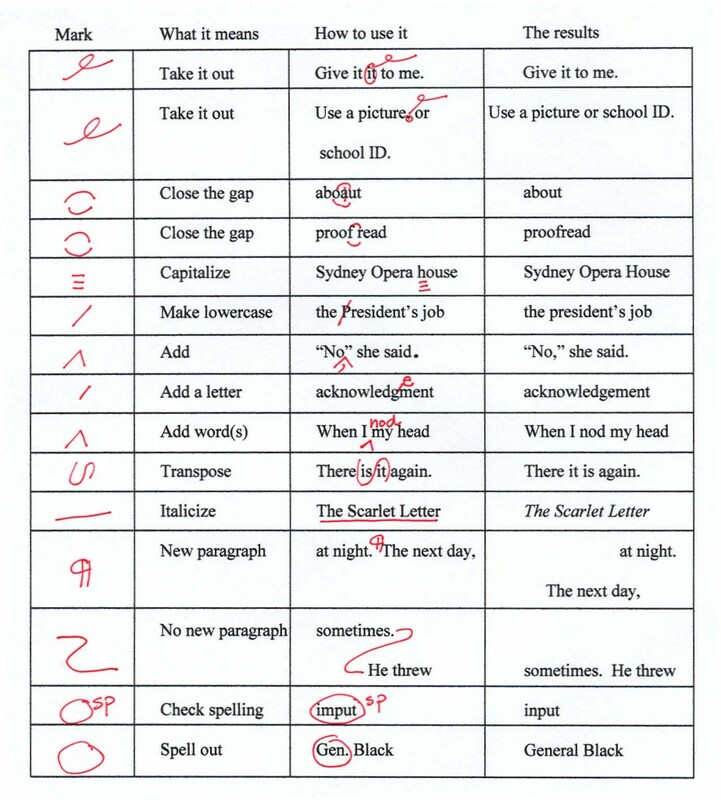 We use a bevy of special marks when proofreading and editing drafts. You: As a reader, you’re the key to academic presses’ longevity and success! We exist to perpetuate and expand scholarly conversations; without interest from participants like you, our publishing houses would quickly become obsolete. Zoo: Yup, sometimes the publishing world can best be described as a zoo (you should see us all together at the annual Association of American University Presses conference!). But despite the chaos of deadlines and challenge of evolving technology, we academic presses are here to stay. Someone has to build the Ark, right? This blog post made with inspiration from AuthorHouse. The New Yorker dubbed it the “really big one.” Geologists have heralded its imminent approach for years. Broadcasters and bloggers have facilitated dozens of heated discussions regarding its potency and approach. But just how big is this earthquake truly supposed to be and how can we best prepare for its arrival? Located along the Cascadia Subduction Zone, the Pacific Northwest is due for a devastating earthquake of epic proportions. After the social media explosion caused by Kathryn Schulz’s article in The New Yorker, the region’s residents have faced a deluge of information and speculation. Below is a list of resources from OSU Press and our friends at University of Washington Press to help explain the situation and filter fact from fiction. The discovery of the Cascadia Subduction Zone didn’t happen overnight—and neither will a change in our infrastructure or political climate. Using the sleepy town of Seaside as a focal point, Henderson elucidates the charged intersection of science, human nature, and public policy. 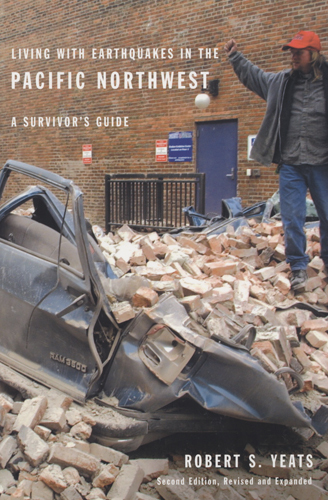 An essential guide for anyone interested in understanding and preparing for the next big earthquake. Learn updated information about the Cascadia Subduction Zone in the forthcoming third digital edition. 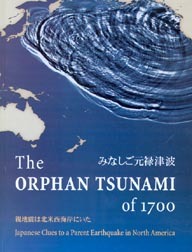 How can tectonic action along the North American coastline trigger an immense tsunami in Japan? Tug on your detective cap and delve into the primary resources and geological clues uncovered by Atwater. Stunning color photographs, maps, and charts introduce new readers to the field of geology. Written in an engaging and accessible manner, this beautiful book recounts the region’s past climate record and discusses implications for the future. 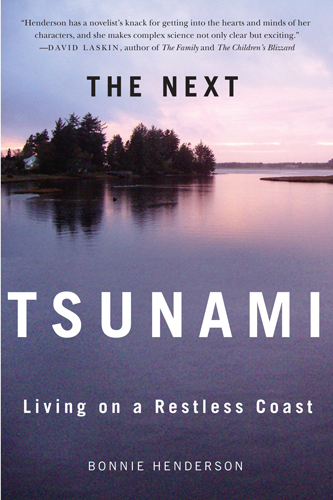 “Caught between converging crustal plates, the Pacific Northwest faces a future of massive earthquakes and tsunamis.” The future may be riddled with uncertainty, but the geologic features visible today may unlock the story of the past—and prepare us for what’s to come. California has climbed the ranks to become one of the world’s most advanced localities in terms of earthquake safety and preparedness. Yeats describes the state’s innovate approach, simultaneously offering a how-to-manual for life in earthquake country. Browse the Association of American University Press's Books for Understanding website for more resources on current events and breaking news. Power and surprise: two intriguing elements of any person’s life. There are reasons why people revel in the unexpected and yearn for power; such heady feelings offer welcome interruptions to the repetition of daily life. 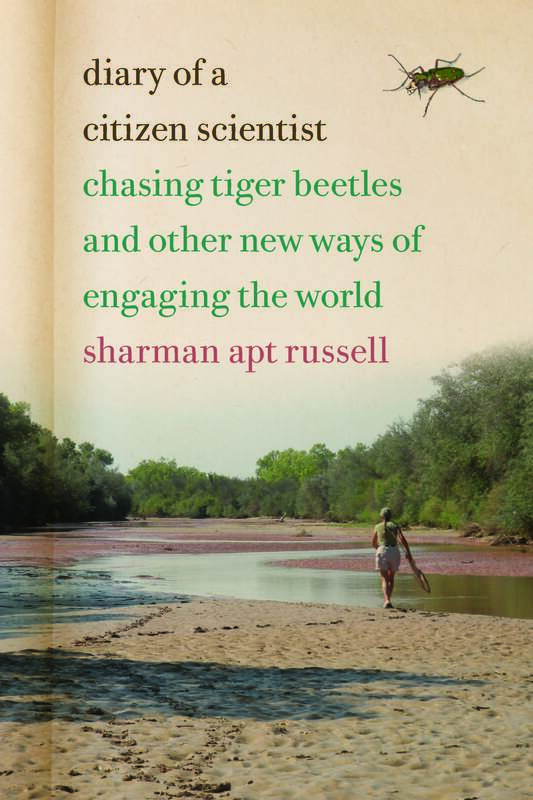 And according to OSU Press author Sharman Apt Russell, the field of citizen science offers both. Introducing “the blob”: an abnormally warm section of the Pacific Ocean, located just off the western coast of the United States. Researchers at OSU and the University of Oxford believe the warmer water may correlate with current drought conditions and unusual weather patterns. Based upon the knowledge that ocean temperatures affect continental weather conditions, the scientists theorize that the blob and Oregon’s current heat wave are far from mutually exclusive. In order to prove—or disprove—their hypotheses, however, a computer model comparing historic data with present conditions must be run thousands of times. That’s where you come in! The research team is looking for capable volunteers willing to download and run the climate model on their personal computers. The program, according to a report by the Oregonian, runs while the computer is not in use, but pauses automatically whenever the owner begins utilizing his or her device. Thanks to an accompanying set of detailed graphics, volunteers can watch the project and data coalesce instantaneously. To participate in the project, simply put on your citizen scientist cap and follow the instructions on www.climateprediction.net. Within minutes, you’ll be contributing to a study that may solve the mystery of western North America’s persistent drought. Russell explains the prevalence and importance of such projects at the very beginning of Diary of a Citizen Scientist by noting that “citizen science projects are proliferating like the neural net in a prenatal brain,” completely reshaping the way research is conducted. Who knows: maybe it’s time for you to spark some synapses yourself and be a part of the research revolution. Cultural traditions and customs permeate nearly every aspect of our lives. Whether at home, in the workplace, or parked in front of the television, we all prescribe in some way to the social guidelines and expectations tied to our cultural identities. But what does “culture” mean and where does it originate? 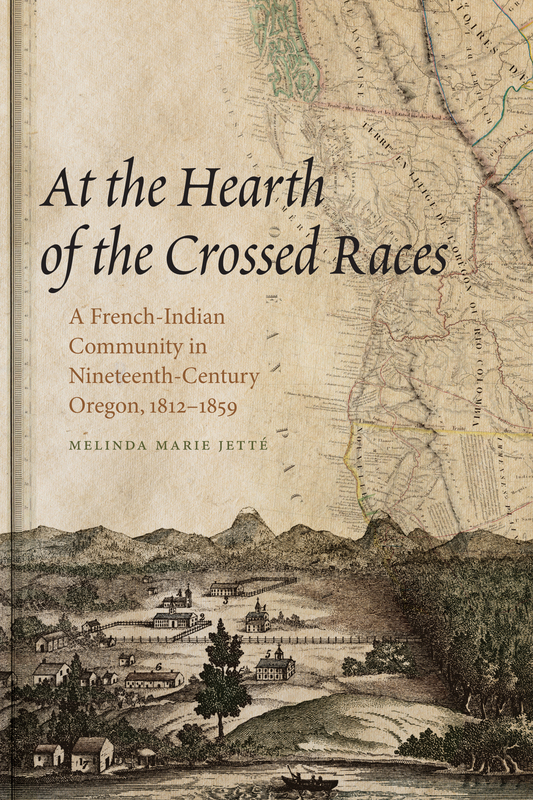 Dr. Melinda Jetté, associate professor of history at Franklin Pierce University, tackles this complex issue in her latest book, At the Hearth of the Crossed Races: A French-Indian Community in Nineteenth-Century Oregon, 1812-1859. In her work, Jetté examines the community of French Prairie in Oregon’s Willamette Valley, adding depth and cultural diversity to the popular Anglo pioneer narrative of the region. An astounding mix of French and Native American culture formed the foundations of French Prairie—a tantalizing and often overlooked history unearthed by At the Hearth of the Crossed Races. Jetté joins us today to reveal the inspiration and passion behind her work. As a youngster growing up in the Portland area during the 1970s, I imbibed a steady diet of popular culture through television, film, and radio. This included the great heyday of the American miniseries, musical variety shows, disco music, reruns of Star Trek, and the start of the Star Wars franchise. These pop culture creations were all quite interesting and exciting, especially when my siblings—following the interests of my mother—became involved in the theater. However, my own intellectual interests seemed to lie elsewhere: in the family stories recounted by my father about his French Canadian and Indian ancestors who had lived in and around Champoeg and St. Paul. And although we had some Anglo ancestors who came along later, our French-Indian forebears were apparently in the Willamette Valley prior to the Oregon Trail migrations of the 1840s. These family stories from my father, along with his own love of history, influenced my later decision to study French and history in college and then pursue graduate studies in history. I would often return to the intriguing, though largely undocumented, history of the French-Indian settlers in French Prairie. I would ask myself why their experience seemed less important than that of the Anglo-Americans emigrants who trekked to the Pacific Northwest on the Oregon Trail. At the Hearth of the Crossed Races attempts to answer this question by placing the French-Indian community of French Prairie at the heart of a formative and tumultuous period in Oregon’s history: the Euro-American colonization of the Pacific Northwest that began with the fur trade, the mass migration of Americans to the region, Indian wars and forced removal, and the eventual incorporation of Oregon into the United States on the eve of the Civil War. The book’s multi-dimensional history of a bicultural community follows the lives of ordinary people facing extraordinary times—not only in relation to Native peoples and incoming American settlers, but also in relation to larger historical events and developments such as the transition to a modern, commercial economy and the institution of a civil society grounded in modern notions of racial separation, gender distinction, and social exclusion. What makes the story of French Prairie inhabitants so interesting is how their lives and decisions illuminate these changing times. In tracing the social history of the French-Indian community of French Prairie—warts and all—I have endeavored to dig deeper into Oregon’s history, to contribute to a more complex representation of the nineteenth century and to a more thorough understanding of the era’s ongoing legacy in the present. At the Hearth of the Crossed Races is the beginning of a lifelong journey to document the history of French North Americans in the United States. The next project awaits! Melinda Marie Jetté maintains roots in the very community she studies. A native Oregonian, she is a descendant of the French Canadians and Native women who resettled French Prairie. Having received an MA in History from Université Laval and a PhD from the University of British Columbia, she now teaches as Associate Professor of History at Franklin Pierce University in New Hampshire.